Factory original CZ-UB 85 Combat trigger. We supply a superior allen set screw and we also include the adjustment wrench. If the black “recurve” trigger bites your trigger finger, this is definitely the fix. TECH TIP: Fits all full size and compact CZ’s as well as the CZ-97B/BD and RAMI. Does not fit the 75B Omega or P-07/09 or Tactical Sport. 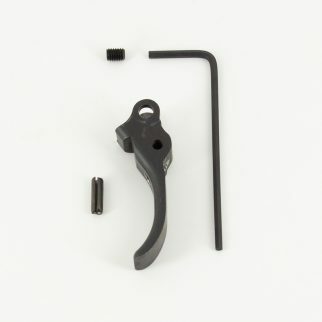 You will need our TR-PIN replacement trigger pin and SP starter punch to remove the throwaway CZ OEM trigger pin. Consider our RP-TRS too.